When visiting Palm Springs it’s easy to fall into the trap of spending all day poolside with a cocktail in hand and maybe making it out to dinner within a 3 block radius of your hotel. However, hopefully you’ve read, Part I: Eat+ Drink, of our Palm Springs guide and you now know there a SO many spots you must try when you visit. This post, Part II: Shopping + Do, is all about the places, whether it be shops, hiking trails or museums, we like to visit on a regular basis. These are all places we go often, not just when we have guests in town. Jus like Part I: Eat + Drink, we want to share with you how to Palm Springs like a local. As you may have guessed, the majority of shops here are full of vintage and mid-century modern items. There are curated galleries with pieces costing in the six figures and there are consignment shops where you can score the deal of the century. First and foremost you know we have to share, The Shops at Thirteen Forty Five, the collective of shops where Soukie Modern lives! We love having our shop in this E.Stewart Williams designed building, which was originally owned by Harold Hicks, the founding father of Palm Springs. The Shops at Thirteen Forty Five feature 13 separate shops each with their own personality and vibe. Mid-century furniture, housewares and clothing. Such a fun novelty collection. 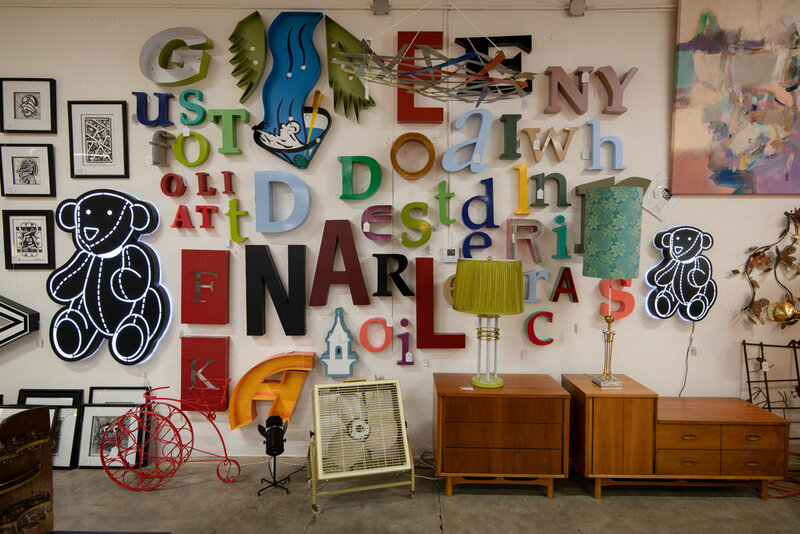 A collective of EVERYTHING from the mid-century and other vintage periods. Multiple locations in the Coachella Valley. Thrift store that benefits the Desert AIDS project. Well-priced mid-century home decor shop. We bought most of the glassware pieces at Soukie Kasbah (our ainbnb) here! Part gallery and part consignment store. They represent Eric Nash, one of our favorite artists. Multiple locations of this non-profit thrift store that benefits adults and children with disabilities. Be ready to dig through a lot of merchandise to find some gems. A HUGE showroom full of everything mid-century modern. 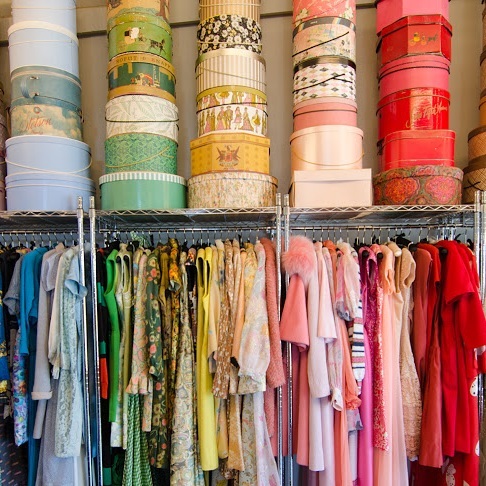 Not far outside of Palm Springs is this little gem of a shop full of vintage clothing. Mount Jacinto: 30 degrees cooler up there in the summer! Palm Springs Art Museum // 101 Museum Dr: Rivals major metropolitan art museums. Free on Thursday nights from 4pm-8pm. Moorten Botanical Garden // 1701 S Palm Canyon Dr: Cactuses galore! A perfect place to wonder and learn all about the incredible vegetation that grows in deserts around the world. Demuth Park // 4200 E Mesquite Ave: Pickle ball courts! This game is a combo of badminton, tennis and table tennis. Palm Springs Farmer’s Market // 2300 E Baristo Road (oct-may) 401 S Pavillion Way (june-sept): One of our favorite weekly outings where we buy our organic goods. Check out our “How to Make REAL Moroccan Couscous” post to see how we incorporated some ingredients we bought here. Village Fest // Palm Canyon Dr: A fun street fair every Thursday from 6pm-10pm. So that’s our list guys! What do you think? Anything we missed that you love doing here? Let us know in the comments below.